This system uses two types of plasma: O2 plasma and forming gas (H2 in N2 plasma). It can be used to for plasma etching, ashing (descum), or cleaning, as well as H2 saturation. Varying the process parameters such as pressure, power, process time, gas flow and gas composition changes the operating characteristics of the plasma and the etching process. 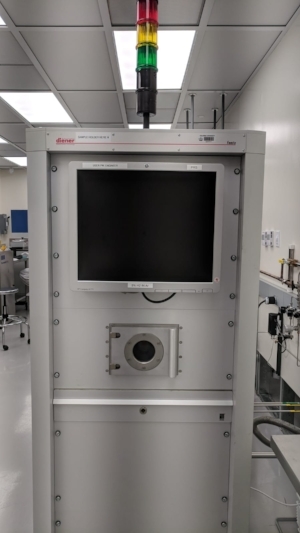 For additional information about the Diener Plasma Etch, please contact James Vichiconti at jv2534@columbia.edu or email the clean room staff at cnicleanroom@columbia.edu.